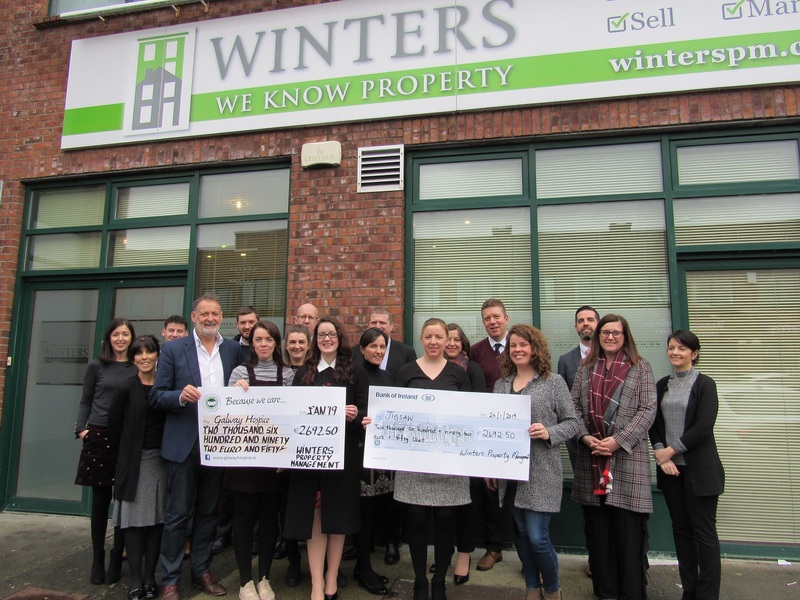 Each year the Winters Property Management (WPM) team come together to fundraise for a chosen charity. Joanne Tierney on behalf of Galway Hospice & Aoife Guilfoyle on behalf of Jigsaw collecting the cheques from the WPM Team. The charities our team choose to support in 2018 were Jigsaw and The Galway Hospice. The team were delighted to hand over the cheques to both charities having raised over €2,600 for each one. We try to mix up our fundraising events up from year to year. Having done a ‘buns n bike’ fundraiser last year, we decided to do a ‘Colour Me’ 5k run this year. Thanks to the WPM team, friend and family for all their efforts and support.